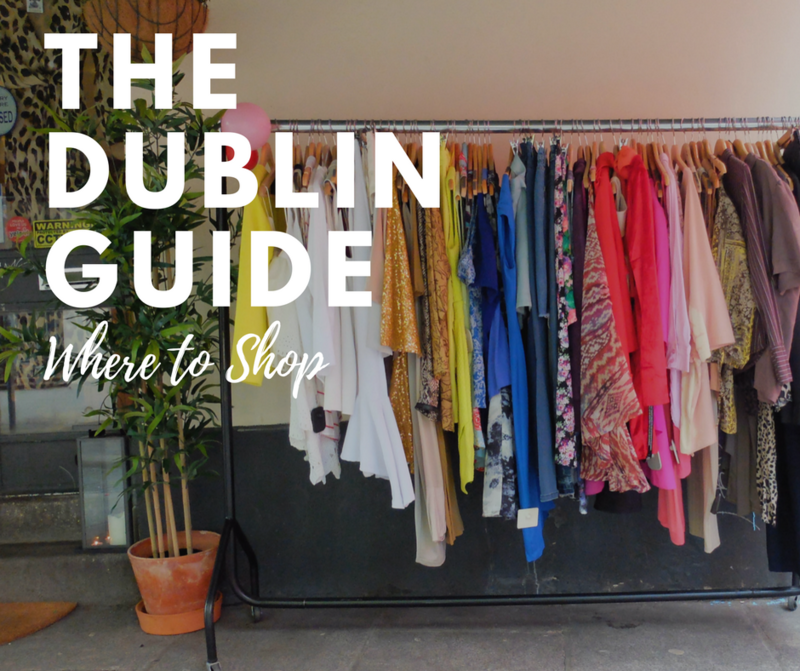 Whether you’re visiting over a long weekend or in town for an extended trip, everyone wants to know where to shop and what to buy when in Dublin. There are options for every price range, but here are a few places to get you started when shopping in the city. 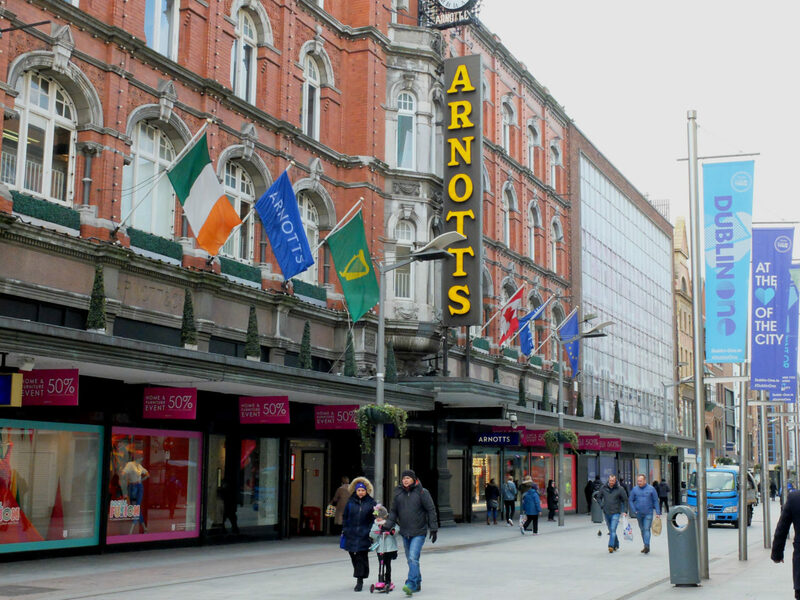 This is Dublin’s famous shopping street, where you’ll find everything from the glamorous Brown Thomas to the bright and loud Irish themed gift shops. 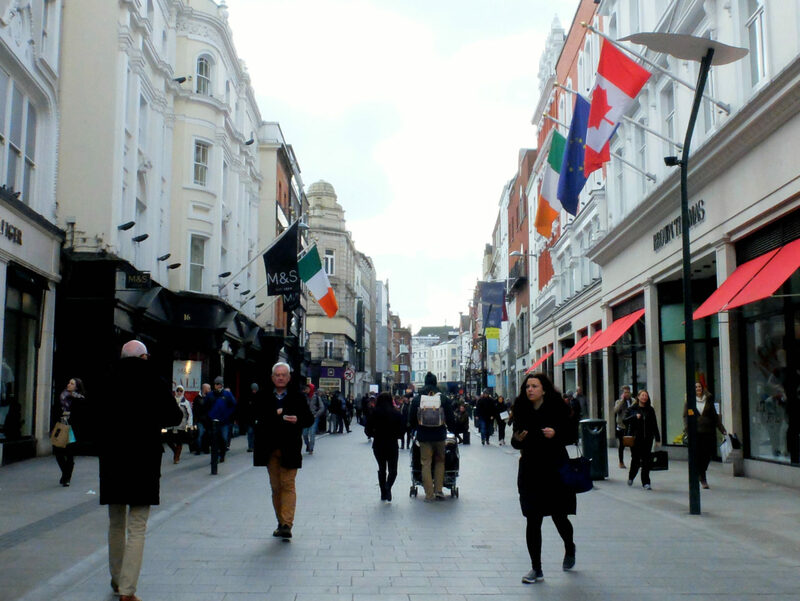 Whether you’re looking for a unique item to remind you of your trip, a birthday gift, or just a few good photos and a couple souvenirs, Grafton Street can easily be your one-stop-shopping experience in Dublin. This is my favourite department store in Dublin. It has a great mix of high street fashion, designer items, beauty, shoes, electronics, and appliances. You can get yourself a makeover and a new mixer all in the same visit. If you’re looking to purchase something a bit more traditional you can browse clothes from Irish designers or pick up some ornaments from Newbridge Silverware. Go in for the shopping, stay for the cafe and beautiful view! 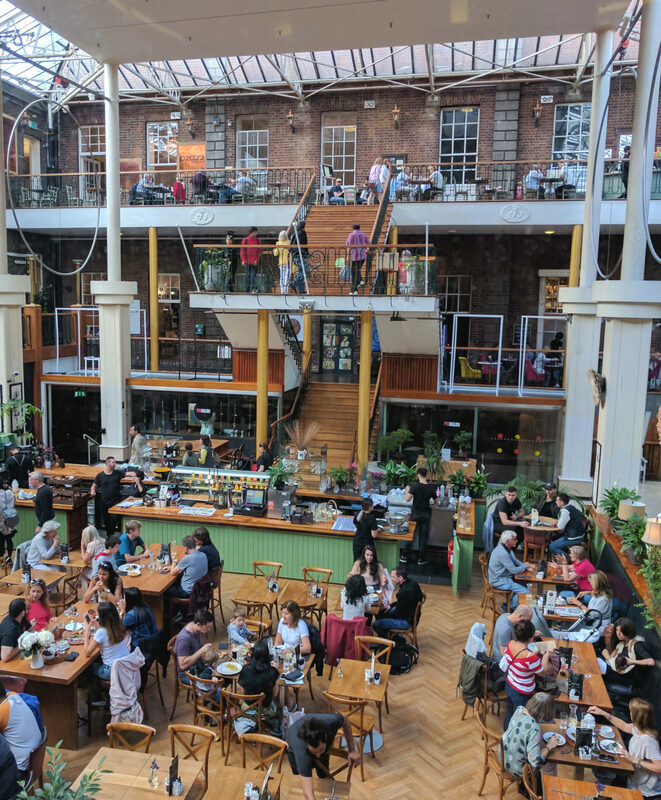 This shopping centre is set in a renovated Georgian House along trendy South William Street. 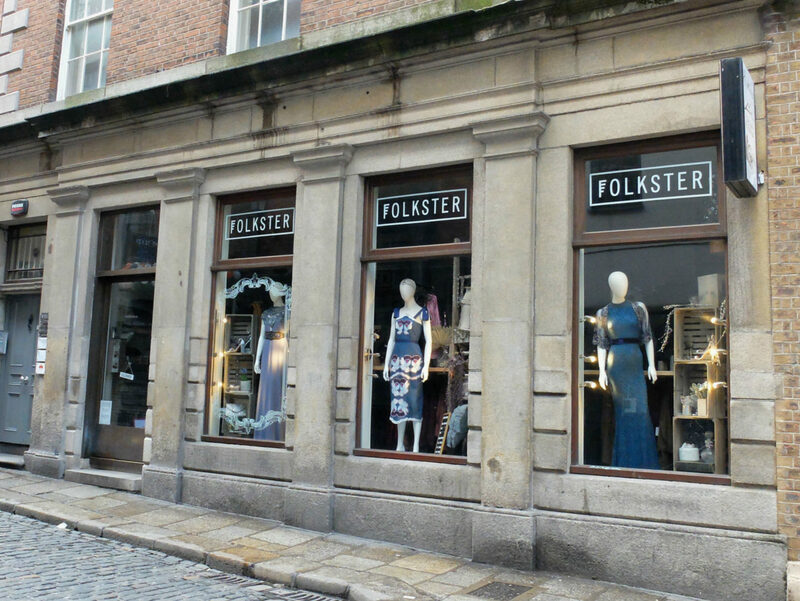 It’s full of design and antique jewellery shops, as well as cafes and a few clothing stores. My personal favourite is Article, a nicely curated shop of homewares and stationery. If you want a few good shots for your Instagram, climb to the top floor (or ride up in the glass lift) to get a few of the cafe that sits in the middle. If you’re local and rolling your eyes reading this item, I’m sorry. But visitors have a right to know the secrets too! 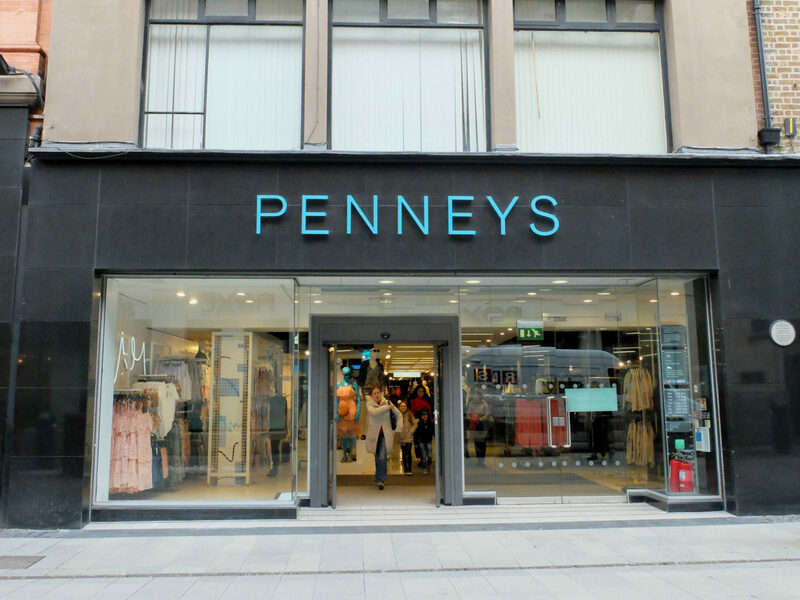 Penney’s (elsewhere known as Primark) is responsible for dressing most of the female population of Ireland most of the time. It’s a very busy place, and can be overwhelming, but when you find a few blouses similar to your favourite from & Other Stories that you just couldn’t justify spending money on, you’ll thank me. Go early if you’re going at all. 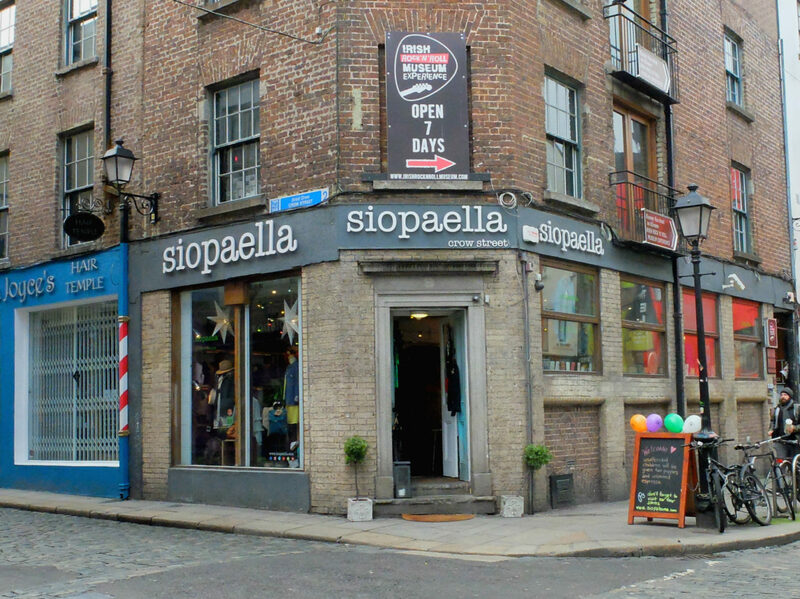 If you’re in to vintage or designer items, then Siopaella is your shop! I’ve not yet made a purchase, but I’m constantly browsing and wondering how they are always finding such gorgeous, secondhand items. They now have several shops in Dublin and have quickly grown to become one of the most successful designer exchange shop in town. This place has expanded from a small home shop to a gorgeous lifestyle brand with an adorable cafe! Head to Industry & Co for a wide range of gifts and homewares from Ireland and beyond, plus great coffee! Be careful though, this shop will make you want to start nesting. This shop went from pop-up to staple very quickly. It has a back room filled with gorgeous dresses and bridal wear. The front room is full of beaded tops, capes, and jewellery. If you’re looking for something glam but different, this place is a must-see! And of course, every city has a shopping mall. While I’d recommend shopping on the high street to get that Dublin feeling, if you’re looking for big box stores and everything in one place, you could spend the whole day and night at Dundrum Town Centre. 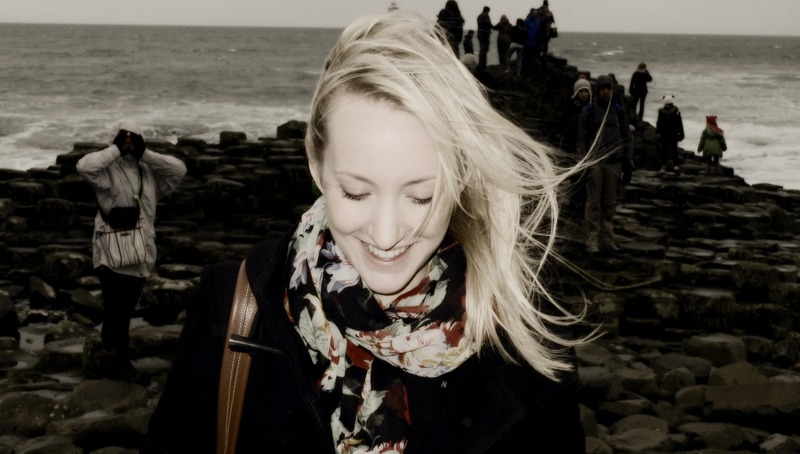 Looking to bring gifts back home from a visit to Ireland? Popular items include Claddagh Rings, anything wool from Avoca, something with a goofy sheep on it, Butlers chocolates, and anything Guinness or Jameson related. 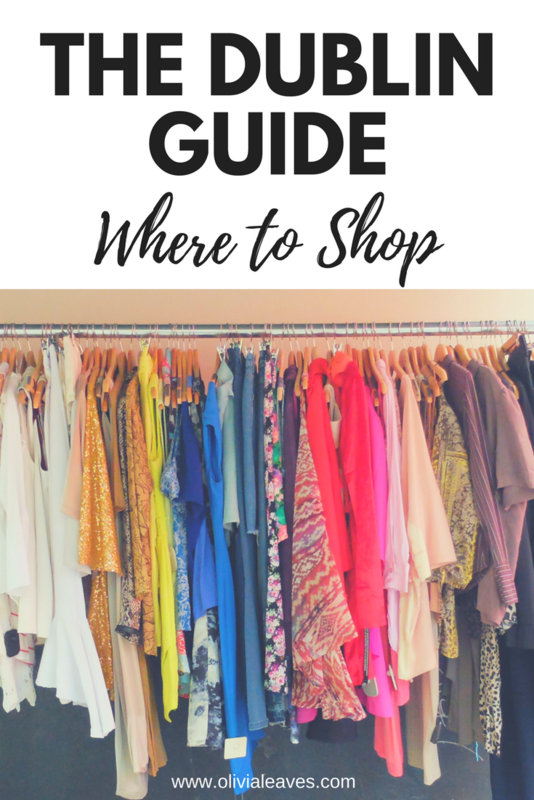 Pin these shops for later! LOVE this! whenever I travel I always seek out the best places to go shopping!